EVERY Londoner is breathing in dangerous levels of toxic air particles, the city’s mayor Sadiq Khan has said. The tiny pollutants, known as PM2.5, are linked to about 29,000 premature deaths in the UK each year, government research shows. The London Atmospheric Emissions Inventory shows that 7.9million Londoners — 95 per cent of the capital’s population — live in areas that exceed the PM2.5 guidelines by at least 50 per cent. The study also shows that every area of London exceeds the World Health Organisation’s air quality guidelines for PM2.5. About half of the pollution comes from outside the city, while the rest is mainly a result of tyre and brake wear, construction and wood burning, city hall said. Exposure to the particles increases the likelihood of respiratory and cardiovascular disease, leaving children more at risk of growing up with reduced lung function and asthma. Mr Khan said: ‘This research is another damning indictment of the toxic air that all Londoners are forced to breathe every day. The mayor wants the government to give him powers to tackle emissions from construction sites and wood burning. The UK legal limit for PM2.5 is 25 micrograms per metre cubed. But WHO guidelines are just 10 micrograms. In central London average annual levels of PM2.5 are around double the WHO guidelines. 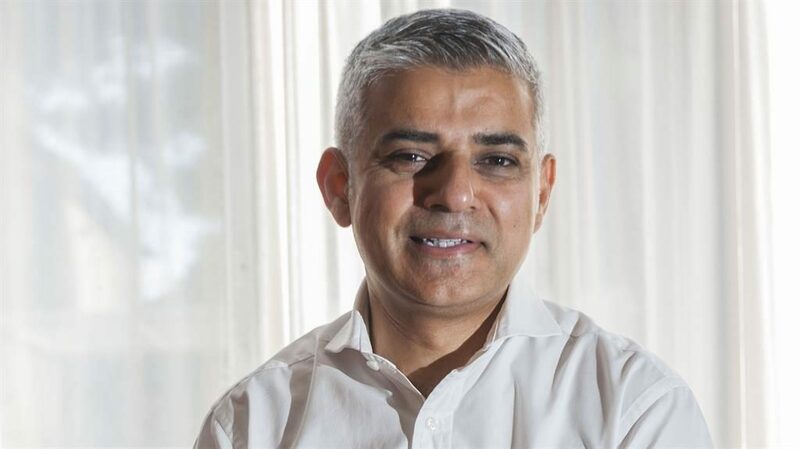 Mr Khan revealed the figures as he signed London up to the Breathe Life Coalition to connect world cities to work together to improve air quality. ■ SOME 37 out of 43 regions of the UK still have illegal levels of nitrogen dioxide air pollution, despite a 2015 Supreme Court ruling ordering the government to cut them, said law firm ClientEarth. While London has seen a drop in levels of NO2, much of it from diesel vehicle emissions, they are still above the legal limit. Air pollution levels have risen in Bristol, Portsmouth and Teesside since 2013, figures show.